A lot of people can’t decide whether or not they would like to see a therapist. Some people assume that they don’t have enough problems to require the assistance of a professional. Others worry that a therapist won’t be able to help them. If you have these types of concerns, you should look at some of the benefits of going to a therapist and there are a lot of good therapist that you can find in Reno Nevada like the Healing Minds that offers different therapy services. A lot of people think they don’t need to talk to a therapist because they have friends they can talk to. It’s important to remember that your friends have biases. You may have to avoid talking to your friends about certain subjects to prevent conflict. In contrast, a therapist is only involved in your life in a professional capacity. You will be able to talk to them about anything without worrying about the fallout. 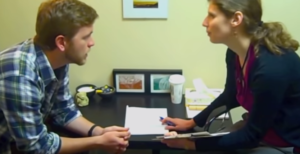 You can be truly honest with your therapist, and you can receive unbiased feedback in return. Everyone is going to experience negative emotions at some point in their lives. There’s no way to ensure that a person will be happy all the time. While you can’t wholly shield yourself against adversity, a therapist can make sure you are prepared to deal with adversity. Working with a therapist will make it easier for you to keep your temper in check. A therapist can help you to acknowledge feelings of sadness without allowing those emotions to consume your life. When you work with a therapist, you’ll have a much healthier relationship with your feelings. Not everyone that sees a therapist is mentally ill. People without mental illness can still benefit greatly from therapy. That said, if a therapist sees signs of a mental health problem, they will be able to refer you to someone that can give you a diagnosis. If you do have a severe mental health issue, you’re going to want to make sure that your problems are treated. You might not be able to spot the signs of a mental health issue, but your therapist will know exactly what to look for. Have you ever felt as though you had no control over your own life? These kinds of feelings of helplessness aren’t unusual; there are plenty of people out there that feel the same way. However, there are ways for you to gain more control over your life. Working with a therapist, you can break bad habits and implement positive changes. You can get out of your negative cycle and work to change your life for the better. Consider the benefits of going to a therapist. Think about whether or not you’d like to enjoy these kinds of benefits in your own life. Therapists have helped many people, and a skilled professional should be able to assist you as well.